Many examples of our tile production are exhibited in our central-Paris tile showroom, in the Montparnasse area. 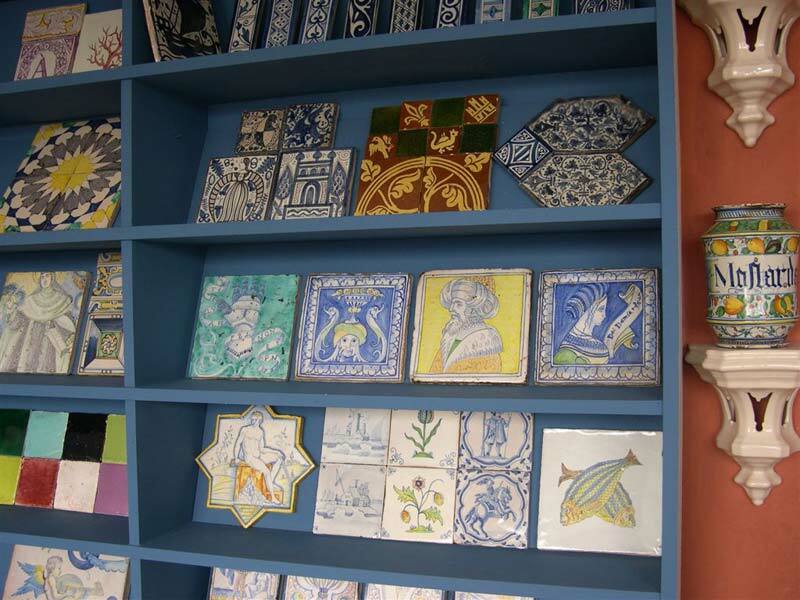 You will see hundreds of tiles from various origins: Delft, Spanish & Portuguese so-called azulejos, zellige, Middle-Ages, Italian Renaissance, majolica tiles, Ottoman (Qallaline & Iznik), Art Nouveau panels, etc., and also artifacts: tableware, tulipières, Medici vases, apothecary jars, platters, tureens, chandeliers, wall sconses, etc. 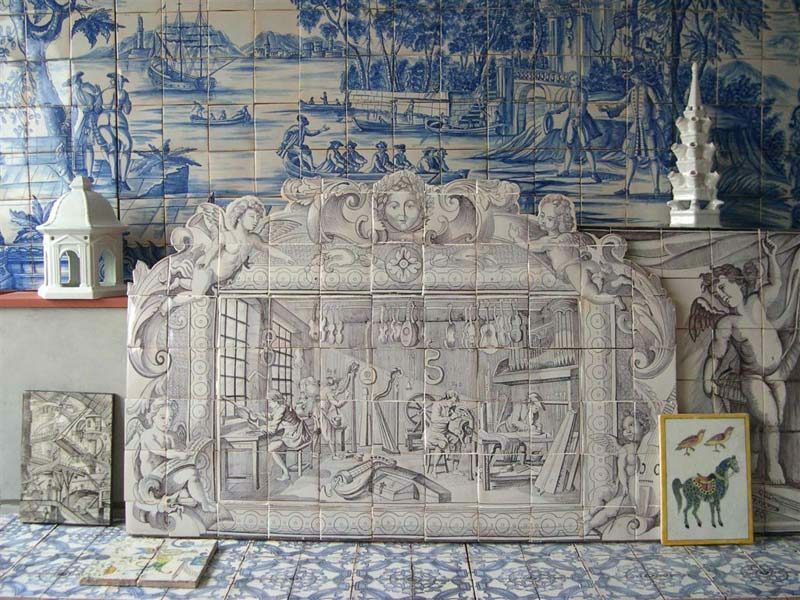 We have gathered thousands of images of tiles, tile murals, and ancient ceramic objects. Our image bank can be consulted in our showroom. Our showroom is not a boutique. Please, contact us before coming!